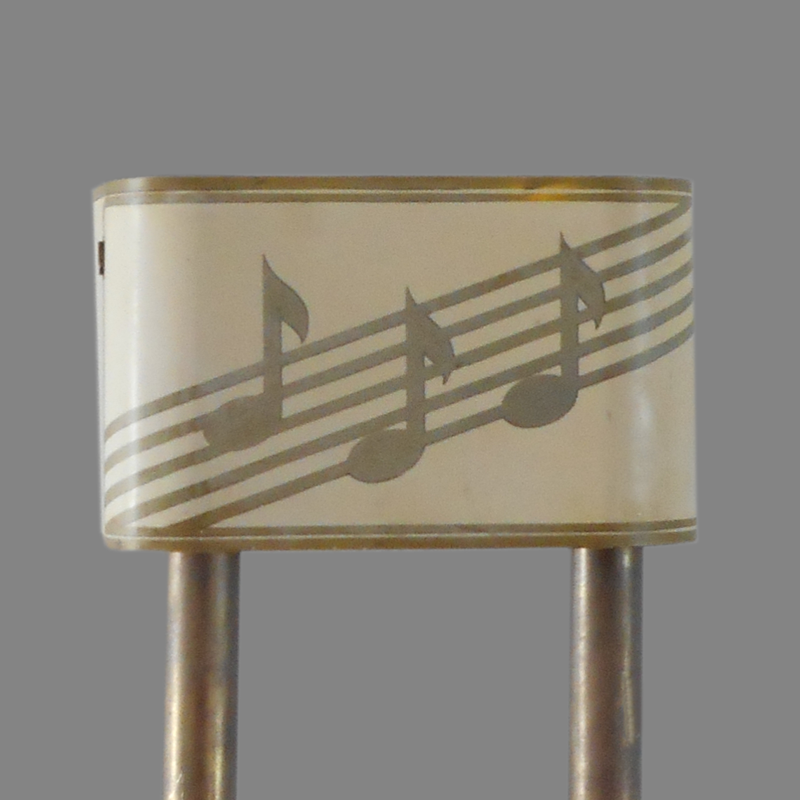 This petite long-bell chime is from DeValera and shares the same cover as the DeValera Compact. 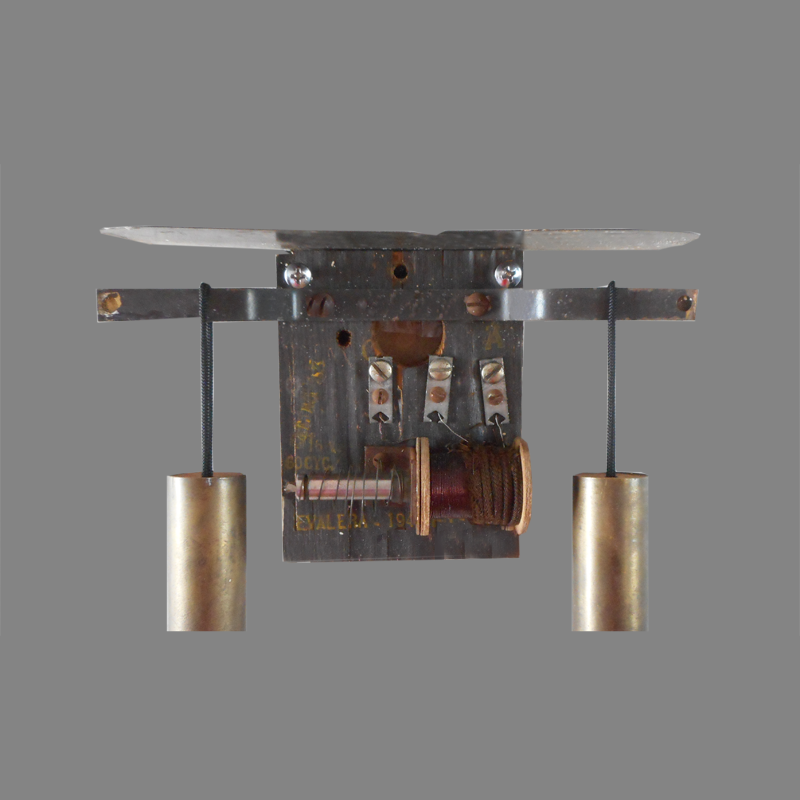 This chime, with an overall height of 30 inches, in considerably shorter than most U.S. made long-bell chimes. A possible explanation is that these were marketed as “apartment-size” doorbell built to fit in shorter niches found in New York City apartments and flats. Since DeValera chimes were manufactured at 1945 Park Avenue in Harlem, DeValera would have understood and perhaps, pioneered, the market for diminutive long-bell chimes. Ernest G. DeValera was a prolific inventor, and had several patents in the 1930s including one for an electric annunciator and another for an alarm. 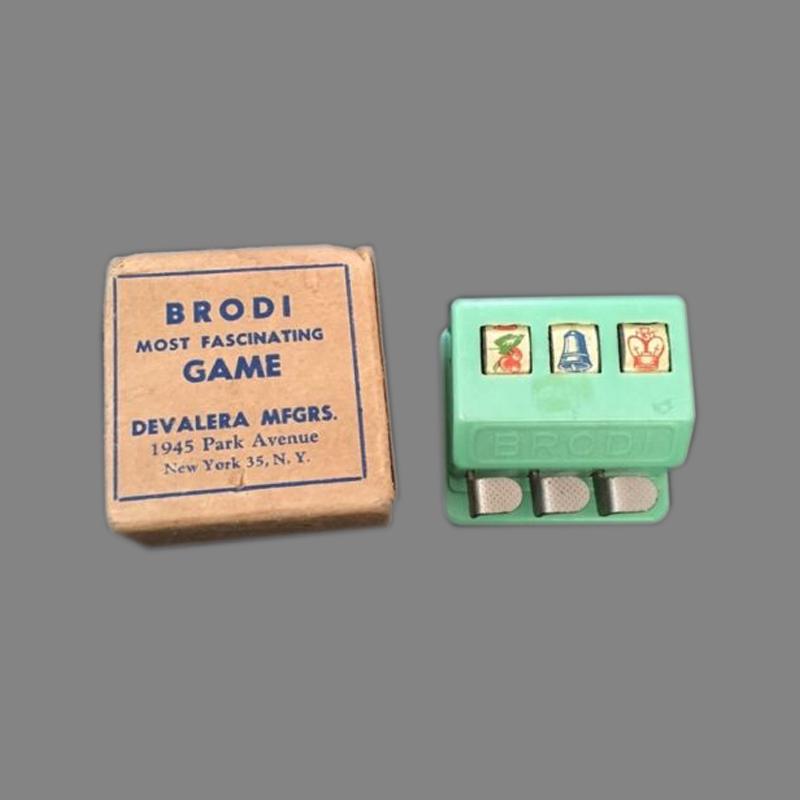 The DeValera Company achieved the most success for the Brodi table game played with chips and a miniature slot machine.